EC Vancouver students! The Lunar new year is here! The Lunar new year 4712 begins on Jan. 31, 2014, and is celebrated by Chinese, Korean and Taiwanese communities all around the globe. At Chinese New Year celebrations people wear red costumes. Red symbolizes fire, which, according to legend, can drive away bad luck. The occasion will be commemorated with red and gold decorations, a dragon parade, music, dancing and fireworks in the city streets. 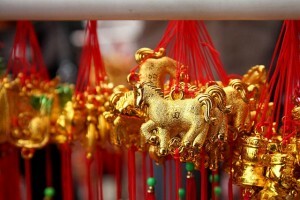 The New Year of the Horse starts on Friday but the biggest events will be held on Saturday and Sunday, with smaller festivities taking place next week. 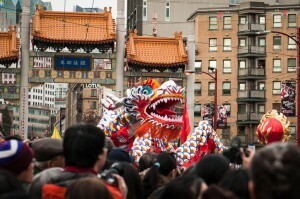 On February 2nd, the Chinese New Year Parade will be held for 2 hours (12-2pm), starting at the Millennium Gate at Pender St. and heading east, turning south onto Gore St., then west onto Keefer St.
You can also enjoy the free Vancouver Chinatown Spring Festival & Cultural Fair at Sun Yat-sen Plaza after the parade (11am-5pm).